Remodel Guidance is a Marin County residential design firm with projects throughout the Bay Area. Specializing in single family home additions, remodels and construction, we help our clients create the most attractive, valuable and healthy homes possible. We are dedicated to, experienced with, and trained in green building practices and design. Our services range from project consulting and permit expediting to complete design, plan and permit packages. For general questions or to learn more about our services, please feel free to contact us via telephone or fax at 415-258-4501 or via email at info@remodelguidance.com. The "Construction Chronicles" is a our quarterly newsletter. We feature and celebrate successful projects, give tips to navigating the construction process, explore green building, and keep readers updated on the latest news and events. The Remodel Guidance Property Potential Analysis (PPA) is a unique service tailored to the real estate market. The PPA is a report specifically focused on property potential, prepared through a combination of background research, consultation with planning and building departments, and a site visit and inspection. Read more about it here. Graham Irwin has been working in the construction industry as a carpenter, general contractor and building designer since 1991. He relocated to the Bay area in 2001 and has built a successful design and consulting practice while restoring his own home, a 1922 California Bungalow. Dedicated to making the construction process accessible to the public, Graham teaches popular Community Extension classes on building permits, green building, remodeling and construction. He is an NCBDC Certified Professional Building Designer, a Professional Member of the American Institute of Building Design® and a licensed general contractor. 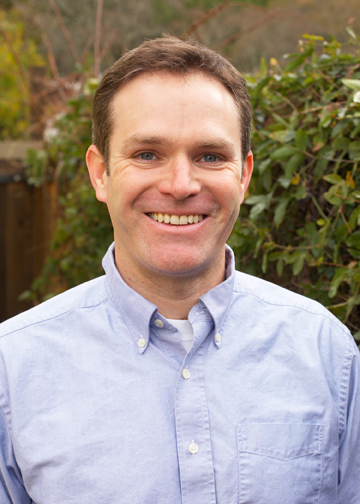 A committed environmentalist, Graham is a member of Architects, Designers and Planners for Social Responsibility, The US Green Building Council and Build It Green, and is a Certified Green Building Professional. Graham has been certified as a Passive House Consultant by the Passive House Institute, US (PHIUS), and is a member of the Passive House Alliance. In addition to private consulting, we offer public workshops. Here are the most immediate; stay tuned for additional offerings throughout the Bay Area and beyond. Learn the ropes of obtaining building permits before you complete your plans. This thorough exploration of the permit process and Q&A session will help you avoid unnecessary red tape and expenses by designing your project around established requirements. Whether you are contemplating a remodeling or building project, are in the middle of one, or are thinking of buying a fixer-upper, this class will save you money, time and heartache. Are you considering a possible remodel or move? You're not alone. The good news is that with the right information, you can make the best decision for you and your family. This unique workshop combines an overview of the remodeling process with a financial analysis of remodeling vs. moving. Led by a three experienced local professionals: a building designer, a general contractor, and a realtor, we'll offer three perspectives on the process, with one goal - helping you make the best decision for you and your family, in terms of both lifestyle and finances. Online: click the title(s) of the course(s) you are interested in above, or visit the website..
Telephone: Contact the Tamalpais Union High School District's Adult and Community Education Program at 415-945-3730 between 8 AM and noon, Monday through Thursday. Fax: Fax a registration form to 415-945-3767. Mail: Mail a registration form to P.O. Box 605, Larkspur, CA 94977. In person registrations are accepted at 375 Doherty Drive, Larkspur, 8 AM to noon, Monday through Friday. Walk-in registrations are also accepted at the start of the class.